CipherLab - 1000B Handheld Retail Barcode Scan Gun. (USB connect). Awarded as Japans leading barcode reader... (Equal to Wasp CCD LR). UniTech - MS-180 Reliable 3 CCD barcode scanner. Leading brand - ideally suited for clean work areas such as retail education healthcare and most office applications. USB RS232 Serial or KBW connect. CipherLab - 1000K Handheld Retail Barcode Scan Gun. (Keyboard wedge connect). Awarded as Japans leading barcode reader... (Equal to Wasp CCD LR). CipherLab - 1000K Handheld Retail Barcode Scanner. (Keyboard wedge connect). Awarded as Japans leading barcode reader... (Equal to Wasp CCD LR). 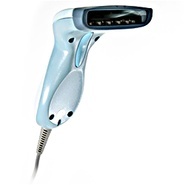 UniTech - MS100 Unitech MS100 Barcode Wand is ideal for low-volume applications. Able to read color faded and low contrast bar code labels accurately. 2 yr Warranty! UniTech - MS100 Unitech MS100 USB Barcode Wand Pen is ideal for low-volume applications. Able to read color faded and low contrast bar code labels accurately. 2 yr Warranty! CipherLab - 1500 Durable Retail Scanner -Barcode scan/ reader: New style very fast reads! Choose USB RS232 Serial or KBW connect. Drop tested Optional hands-free stand...( WASP CCD LR). UniTech - MS146 Barcode slot reader: ideal for membership access control and security applications... USB or RS232 serial. Metrologic - MK3580 Durable Honeywell brand accurate reliable Hand-Free Omnidirectional RETAIL barcode scanner. 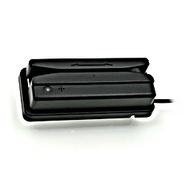 Barcode reader... USB RS232 Serial or KBW connect. Metrologic - MK9535 (Honeywell) Bluetooth laser barcode scanner. Offers mobility for Retail - handheld scanning can be done up to 60 from base. Barcode reader... USB RS232 Serial or KBW connect.